Architectural visualization has evolved from simple pencil sketches of a planned building to fully 3D renderings and interactive experiences to show owners and potential buyers what the design will look like. 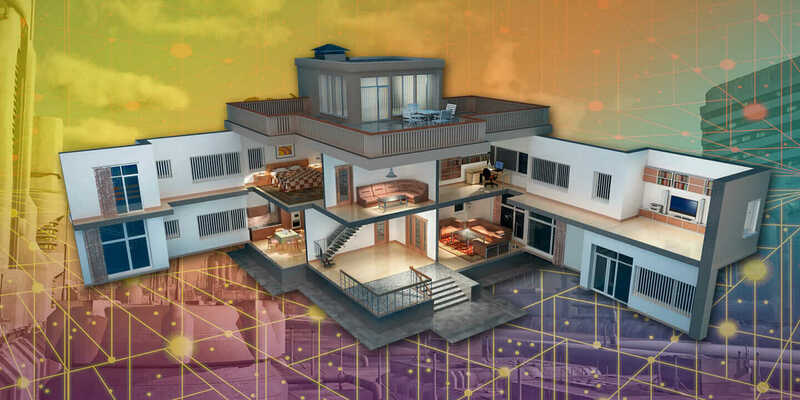 The use of 3D animation programs such Autodesk 3ds Max and Autodesk Maya in visualization has led to more sophisticated and eye-popping designs that even the smallest architecture or engineering firm can create thanks to built-in content and cloud rendering. HKS Architects of Dallas licensed Epic Games’ Unreal 3 gaming engine to create ARCHengine, a program that allows prospective clients to see and walk through the space they’ll be leasing or buying in a highly detailed 3D environment. ARCHengine allows more-functional 3D visualizations of architectural space, complete with real-time shadows and lighting, moving figures, operational elevators, and running escalators. The 3D environment is rendered or drawn with animations running at 30 frames per second. The firstmajor project ARCHEngine was used on was the Dallas Cowboys Stadium in Arlington, Texas. Prospective season ticket holders were allowed to use it to walk through the stadium, and prospective suite lessors could see the entire environment they’d be leasing. While your firm may not need (or want) to fully visualize every project in a 3D environment with a gaming engine such as Unreal, you can still create much more high-quality renderings than ever before thanks to lifelike materials and higher-quality rendering software. Since 2012, the substance texture file format is natively integrated in both 3ds Max and Maya. More than 80 substances ship with 3ds Max. These smart textures contain parametric information that can be manipulated to both mimic existing conditions for renovation projects and to show with great detail finished walls, floors, landscapes, and other interior elements in your renderings. Allegorithmic creates and supplies textures for both programs. Simply import your substance file, connect it to your material and apply it onto your mesh to have more realistic-looking textures in your building’s rendering. Substance files are multi-output, meaning that from one file you get diffuse, normal, bump, height, specular, AO, views for free, obtaining way richer visual results for more accurate renderings. They are also dynamic, meaning that you can tweak the substance parameters to customize it to however it will look in reality on your project: The integration of substance within 3ds Max is so deep that the substance dynamic parameters have been exposed in 3ds Max’s control panel. Tweak the parameters, and you will see the changes in the viewport. Many other animation programs are being used to create photorealistic renderings that can be imported from or exported to a 3D design program such as Autodesk Revit. Luxology’s Modo 701 is one such program. Originally created to cut down on the countless hours spent by 3D animators working in film and game design, Modo has evolved into a full-featured tool whose renderer is coveted for its physically accurate results and speed. Modo’s modeling tools let a user add people, landscapes, accurate terrain, or surrounding buildings, which gives clients a complete visualization in context. The ability to enter in precise dates, times, and locations and get physical sun (an ability 3ds Max has, as well) is ideal for shadow studies, as well. Thanks to modern computing power and animation-born software, gorgeous, accurate, and photorealistic visualization is available for all of your projects, no matter what the size. What is your experience with creating visualizations for projects? What do you use for your 3D architectural renderings? Please share in a comment below.